Proven Unitary Technology Piston Seal Material for both “Dry” and “Wet” (High Humidity) environments. The Unitary Piston Technology is capable of achieving deeper vacuum levels as compared to diaphragm technologies. The benefit to the end user is superior flow at mid-to-upper vacuum levels and significantly improved flow in high altitude cities such as Denver, CO and the like. 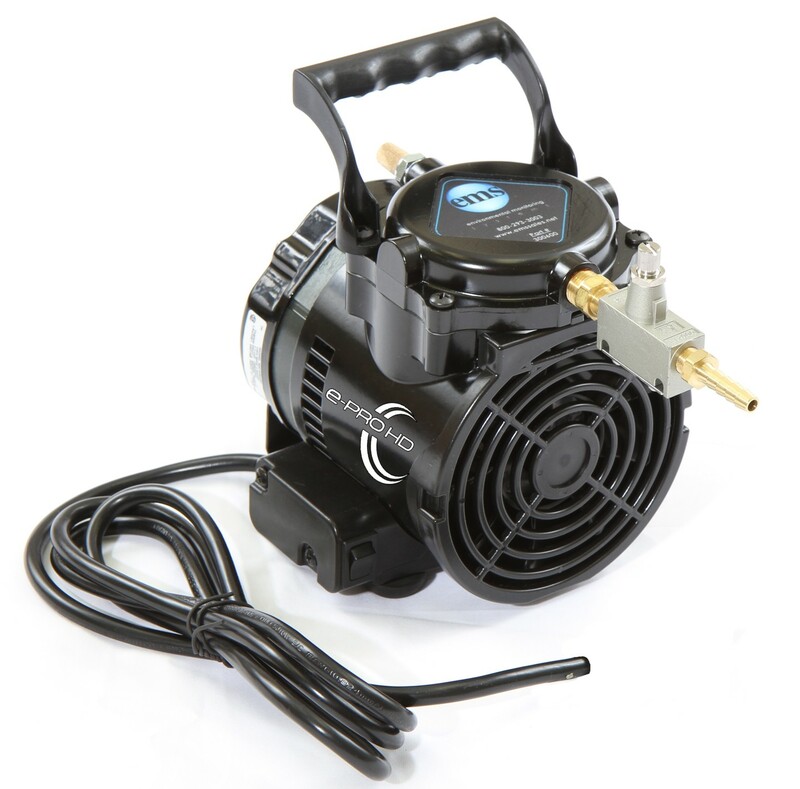 A robust 4.4” diameter electric motor, greater starting and running torque. The benefit is greater starting confidence, especially in low voltage “Brown Out” conditions. An oversized front end located 9-blade fan yields cooler overall operation. Cooler motor coils as well as cooler key pump components improve overall reliability and extend service free operation. Weight is only 7.5 lbs. as compared to competitive models weighing 11 lbs. The compactness of the unitary piston design offer smaller overall dimensions and weight while providing superior flow performance. Sound level as low as 49 dB(A) as measured from a distance of three feet. This is attributed to the smooth running piston seal materials and cylinder which is void of any “Slapping” noise which is common with diaphragm technologies. It is designed, machined, assembled and tested in the USA.